I found it odd also. 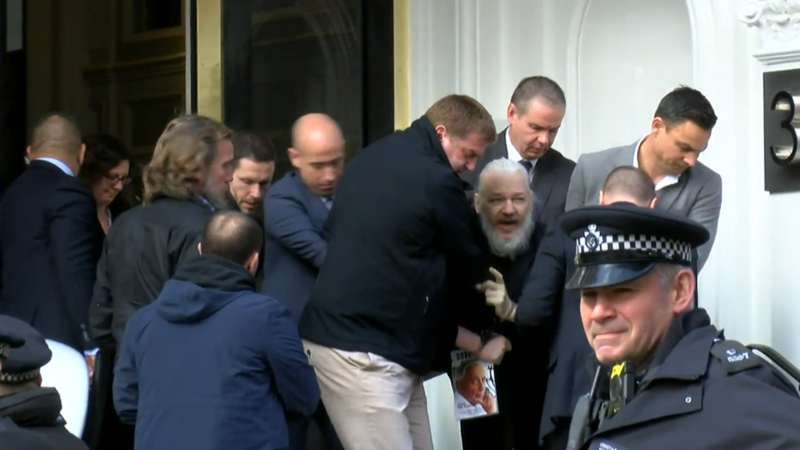 UPDATE: Craig is on his way back to London to be with Wikileaks following the arrest of Julian Assange under the Extradition Act. He does still intend to speak at Rothesay. .... When was the last time you saw someone arrested and they were allowed to carry anything with them. Last edited by Hervé; 11th April 2019 at 15:13. I thought he was going to get Wikileaks to release multiple copies of revealing/embarrassing/shocking documents if anything untoward happened to him? Was that so much hot air, or can we look forward to some horrifying revelations now? If so, I would think that negotiating tactic would be in play now and not necessarily through the media at this point. I hope, now, we get to find out, once and for all, who Assange has really been working for or with. I don't take his 'captivity' for 7 years as any indication there are no big players in the background. The kind of people I have in mind are so ruthless and heartless they wouldn't give a stuff about Assange as a human being. His track record doesn't fit his rhetoric. Most of the wikileaks releases were anti America. Perhaps his last minute switch to exposing hillary was his attempt to ditch his old backers and get on the right side of history. That could also explain why he's been running out of luck lately. I'm pleased he's now out of that building he was dying in. Some sunshine, even in an excercise yard, will do him a lot of good right now. The magazine in his hands was the first oddity I noticed but didn't comment on. Generally, when you are arrested, you aren't allowed to carry anything in your hands. I didn't comment on it but I see someone else did. Since I am challenged technologically, can someone else discern what is on the cover of that magazine or what magazine it is? Symbolism carries a lot of weight in this world. Last edited by meeradas; 11th April 2019 at 16:53. It's been great listening/watching RT.com coverage on all this fiasco. I am impressed with the coverage and accuracy. I don't know how I missed Herve's post. Thanks. This is the beginning of the unraveling of the fabrication that Wikileaks (or Russia, on their behalf) hacked the DNC. This public spectacle is just getting started. Assange still has his life and is in protective custody, but Seth Rich, who handed the DNC emails over to Wikileaks, is already deader than a doornail. Testimony regarding Seth Rich needs to be heard in a court setting, for many reasons. Radio silence so far, which says something in and of itself. Trump knows that his base isn't going to tolerate the abuse of someone instrumental in his election, who exposed crimes of two of his political opponents, the Bushes and the Clintons. Rush Limbaugh has been on the radio today blasting the Seth Rich case and talking about how the download speeds from the server precluded hacking and proved an inside job using a USB stick to transfer the material. Rush Limbaugh has a massive public audience, and when he's doing this, Sean Hannity will be soon to follow. Hannity told us before that he wasn't dropping the Seth Rich case, and would bring it back up at a later time. That time is now fast approaching. One of the phony justifications used to launch the "Russia collusion" hoax was Trump praising Wikileaks. That's why Roger Stone is still facing trial, because he allegedly was working with Wikileaks or lied to the FBI about his knowledge of Wikileaks' alleged hacking of the DNC. Roger Stone's trial is going to be explosive as well. Trump can't keep silent on this for long as he'll inevitably be asked questions by the press corps if nothing else, but optics are important for any ongoing cases involving everything that has happened within the past 3 years. That was before an entire series of bizarre "coincidences" that included a bunch of Wikileaks associates suddenly dying within a short amount of time, and the Internet going down across the entire East Coast of the US, back in late 2016 when the Podesta emails were coming out. I imagine it might be hard to trip an Internet-based switch when an entire core chunk of the global Internet is down. We are only seeing a very small fraction of what has been going on behind the scenes. His track record doesn't fit his rhetoric. Most of the wikileaks releases were anti America. I would say more anti-Bush and Clinton, and their associated acts in foreign governments. But I agree that the people in his background are not trivial players. He once had bail paid by a Rothschild's sister-in-law. Figure that one out. After everything that happened in 2016, I thought he was dead for a good while too. But the unclassified email that Q linked to suggested that he had been detained but was still alive, and other drops have indicated that he's going to be used for upcoming events. My guess is that he's going to be testifying in a US court of law. So even if it was a body double being dragged out of the building for dramatic effect (who's to say? even Saddam Hussein had body doubles), this won't be the last we've heard of Assange. That's the real sticking point, because even though he was helping to expose corruption, all militaries have a strong culture of following orders simply because if and when people have to be ordered to their probable deaths in combat, the ultimate order, they have to follow those as well. That's been the way militaries operate throughout modern history. But that's not going to be a problem for Assange himself so much as it is Manning. Last edited by A Voice from the Mountains; 11th April 2019 at 18:12. This is 100% Obama’s fault. That scripted robot of a horrid human being (not human actually). While he was vowing to close Gitmo, he revived the Espionage Act. Do you know what that means? If the CIA wanted to arrest Bill for propagating his journalism? That turd Ecuadorian banana republic fascist would turn him right over. I am so pissed I can’t stand it! I was by turns angry, despairing and very upset when I heard the news of his arrest this morning. WTAF! Trump has proven that he is a sock puppet president! 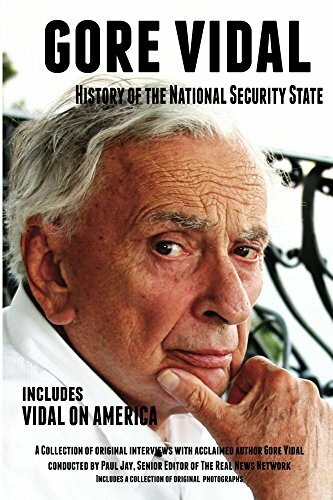 A bit on Gore Vidal, as it relates to Julian Assange. so what are we going to DO about this? Personally? I think it’s time for real action.